1. What is the "Golden Age of Spain?" Choose one figure from the Golden Age and compare him to Maimonides. 2. Write a paper about any of the Muslim philosophers who influenced Rambam such as Al Farabi, Avicenna, Averroes, or the Kalam thinkers. Please cite your sources for either topic. Rambam uses many Biblical verses and quotes from the Talmud to back up his opinion in the letter on martyrdom. Choose a few of these sources and look them up in their original context. Are there other ways to interpret the sources? Do they really prove the point? Does Rambam interpret them in the simplest manner? Are there other sources he omitted? What does all this say about how Rambam uses Biblical and Talmudic sources? Here are the footnotes to the letter to help you find the sources. Eight Cahpters, ch. 8 (Twersky, pp. 379-386). Commentary on Mishnah Abot 3:15 (Twersky, p. 395). Letter on Astrology (Twersky, pp. 469-472). Choose two or three Talmudic sources which discuss freewill or astrology (at least one we didn't discuss in class). Quote and explain each source. Does it fit in with Rambam's thought? If not, how could Rambam deal with that source? See Encyclopedia Judaica articles to help find sources. Rosner, Fred, and Twersky, Aaron. Maimonides’ Introduction to His Commentary on the Mishnah. (Northvale: Jason Aronson, 1995). On divisions of the Oral Torah, pp. 74-83. 1. Write an essay evaluating the strengths and weaknesses of the various opinions concerning the origin and purpose of controversy in the Mishnah. Which is most appealing to you? 2. Trace the source of Rambam's view about the purpose of human existence to the Greek philosophers. How is Rambam's view similar to and different from that of the philophers? Compare what Rambam writes in his Eight Chapters with what he writes about the same subjects in Mishneh Torah, Madah, chapters 1-3 (Twersky, pp. 51-57). What does Rambam add in Mishneh Torah? Is there anyting different? Summarize one dispute between Maimonides and Nachmanides in Sefer Hamisvoth. You can find both at the beginning of Mishneh Torah. Come up with your own topic. Introduction to Mishneh Torah: Twersky, Reader, pp. 35-41. Find a contradiction or hint in the Guide and explain what it means. Twersky, Reader, pp. 43-45, 246-277. Translate one chapter of Tanakh in which God is described as corporeal using no anthropomorphic terminology. Discuss the choices you made, how difficult it was, and whether it is a viable way of understanding Tanakh. Summarize and discuss any of the chapters of the Guide relating to creation of prophecy which we didn't get to in class. Choose any category of commandments from part III of the Guide chapters 35 to 49. What is included in this category and what are the reason for these commandments. Are Rambam's explanations convincing? Analyze the two questions and answers Rambam adds at the end of his Letter on Resurrection. Is the answer satisfactory or is the question better than the answer? What do you think was Rambam's true opinion? Discuss Rambam's relevance to philosophical and political issued of today. This course will survey the life, writings, and impact of Rabbi Moses Maimonides. We will read and discuss selections from each of his major writings and review the various interpretations of modern Maimonidean scholars. We will also look at how Maimonides’ writings were received during his and subsequent generations and how they are relevant today. The grade for the course will determined as follows: Midterm 30%, Final 35%, Participation 15%, Response papers 20%. Attendance is required and lateness will be penalized. Participation includes preparing the readings and being active in class discussions. Each student is required to four response papers during the semester, 3-4 pages, which will review and further explore topics we cover in class. Twersky, Isadore, A Maimonides Reader (New York: Behrman House, 1972). Course readings – available as one PDF or as individual files below. Davidson, Herbert. Moses Maimonides: The Man and His Works (Oxford, Oxford University Press, 2005). Heschel, Abraham Joshua. 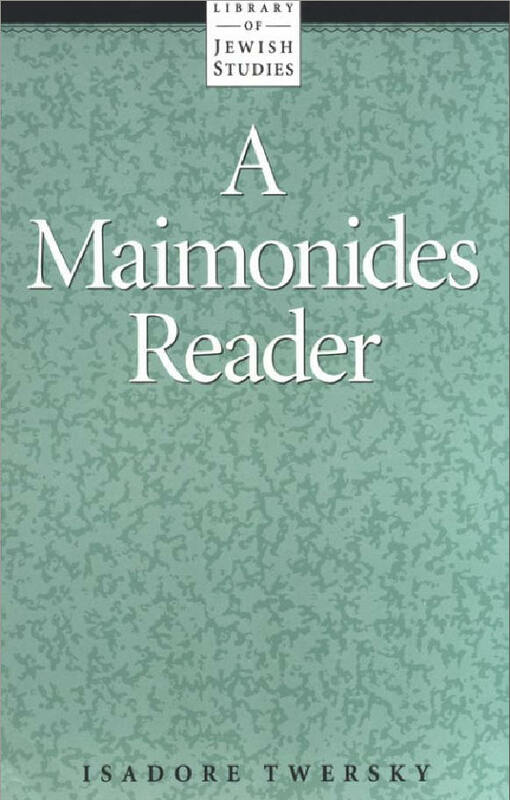 Maimonides: A Biography (New York, 1981). Seeskin, Kenneth. Maimonides: A Guide for Today’s Perplexed (West Orange: Behrman House, 1991).